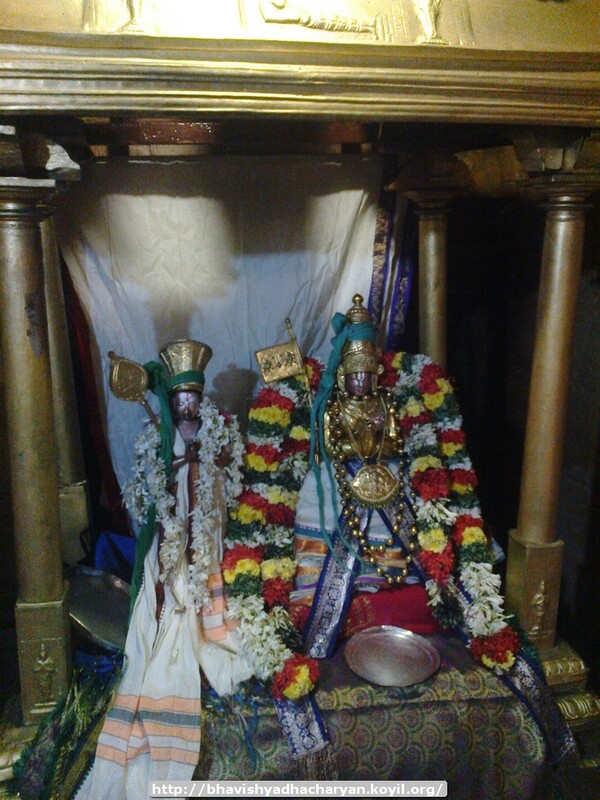 dhivya prabandham – upadhESa raththina mAlai – pAsuram 30 – http://divyaprabandham.koyil.org/index.php/2016/01/upadhesa-raththina-malai-30/ – English translation by raghurAm swamy. Full series at http://divyaprabandham.koyil.org/index.php/2015/11/upadhesa-raththina-malai/ . SrIvaishNava granthams – Simple guide to SrIvaishNavam – apachArams (offences) to avoid – http://ponnadi.blogspot.com/2015/12/simple-guide-to-srivaishnavam-apacharams.html . Full series at http://ponnadi.blogspot.in/p/simple-guide-to-srivaishnavam.html . upadhESa raththina mAlai – pAsuram 29 – http://divyaprabandham.koyil.org/index.php/2015/12/upadhesa-raththina-malai-29/ – English translation by raghurAm swamy. Full series at http://divyaprabandham.koyil.org/index.php/2015/11/upadhesa-raththina-malai/ . yathirAja vimSathi – thamizh – e-book link available at http://divyaprabandham.koyil.org/index.php/2015/10/yathiraja-vimsathi-tamil/ and http://divyaprabandham.koyil.org/index.php/e-books/ . Thanks to parAsara (pradeep) swamy for preparing the e-book. This entry was posted in Uncategorized on January 1, 2016 by Sarathy Thothathri.